"Teachers often find it difficult to monitor the frequency of problem student behaviors. In this clever behavior-management strategy, the teacher uses keeps track of student behaviors using rubber-bands placed around the wrist" (Intervention Central, 2015). The Rubber-Band Intervention is a behavior-management strategy, in which teachers use rubber bands to keep track of students behavior within the classroom as well as throughout the school. How this strategy works is every morning the each student starts with X amount of rubber bands on one wrist. When the student does something wrong the teacher ask the student to move it to their other wrist. This strategy is not a strategy that calls students out or disciplines them in front of the entire class, this strategy allows student to realize what they are doing is not appropriate for school and they need to change it around and that is what I take away from the picture to the left. ​There is differentiation within this strategy. There are different ways to implement this strategy as well. Some teacher have a jar full of rubber bands and when students are doing something inappropriate, not following classroom or school rules, or doing a something that is not allowed, they simple grab a rubber band and put in on the students wrist. Dr. Edward Hallowell states, “You have an amazing brain. You have a Ferrari engine as you brain, but you have bicycle brakes” in his video listed below (Hallowell, 2011). This comment and his video states the importance of this strategy for student who have ADHD, but that is not the only ones who this strategy works for. Students with a behavioral disability need to self-monitor and self-regulate. "A balance of behavioral control and academic instruction is requires" for student with emotional and or behavioral disorders (Hallahan, Kauffman, and Pullen, 2015). ​This strategy allows a general education teacher to monitor all her student especially those with behavioral disorders as well as makes them monitor themselves. Students with Autism often need behavioral management, they "sometimes display highly inappropriate behaviors, such as biting, hitting, or screaming"(​Hallahan, Kauffman, and Pullen, 2015). Often times student with disabilities do have behavioral problems, however there are strategies just like this one that help students identify when they are doing something wrong. This strategy gives them x number of chances and it helps them to realize themselves when something is inappropriate and it also doesn't call them out in front of the whole class. 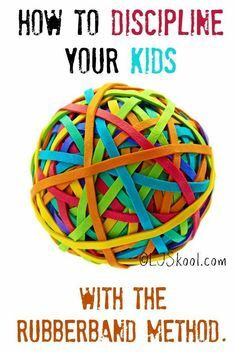 "Use Rubber-Bands of Different Colors to Track Multiple Students. If you like this intervention and are up to the challenge, you can track the behaviors of at least two students by putting rubber-bands of varying colors on your wrist-with specific colors matched to specific students. When you must approach a particular student, you simply move a rubber-band of that student's color to your other wrist' (Intervention Central, 2015). "Step 1: During the period of the day that monitoring is in effect, put up to 6 rubber-bands around one wrist at the start of each half-hour. Each time that you must verbally remind or prompt the student about his or her behavior, transfer a rubber-band from one wrist to the other. Step 2: At the end of each half-hour, count up the number of rubber-bands remaining on the original wrist. If at least one rubber-band remains, your student earns a '+' rating for that half-hour. Step 3: Briefly approach the student at the end of each half-hour to review his or her behavioral performance and (if earned) to have the student add a '+' to a simple monitoring chart (see attachment at the bottom of this page) taped to the student's desk. Step 4: When the student has earned a sufficient number of '+' points, allow the student to redeem those points for a reward. Step 5: As your student's classroom behaviors improve, gradually reduce the number of rubber-bands that you place on your wrist at the start of each monitoring period-until you have only 1-2. At that point, you can consider discontinuing this strategy or using it only intermittently"​(Intervention Central, 2015). The video link about managing and improving behavior in inclusive educational environments. The man in the video is Dr. Edward Sabornie and he specializes in behavioral issues. the video illustrates a variety of appropriate as well as inappropriate behaviors by students and teachers. Watch the video and see why this strategy will effectively help students and teacher with behavioral implementation. A student in my second grade class that has an IEP for Emotional/Behavioral Disorders (EBD) need support for her goal area 2. Goal are 2 is for behavioral issues. It states that she will work on self-regulation skills and the 7 concepts to social thinking (group plan, thinking with your eyes, body in group, expected behaviors, flexible thinking, size of the problem, sharing and imagination). Because this strategy is all about self-monitoring. If she were to lose a rubber band she knows that she is doing something inappropriate for school and needs to change. Also for her it would be a good idea to do something with a reward for her behavior if it is good. For example, a sticker or gets to talk to a friend for 5 minutes or something simple but that also makes her relize she is doing well! Since this is a behavior management strategy it will work for all content areas and it will be the same throughout. It is a strategy to help with classroom behavior and specifically help those student who may have a hard time behaving and focusing, possibly due to a disability.